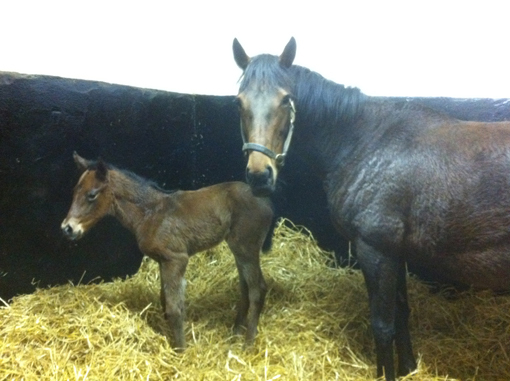 The wait is finally over and the first foal is here! The Sogno Verde - Acclamation filly seen here at two hours old. She looks very similar to her brother Lilbourne Lad. Lets hope she can be half as good! This year we have four English visitors for the season and we would like to thank Mark Tompkins for sending them to us. They have all been covered already by nice stallions in Azamour, Cape Cross, Dalakhani and Footstepsinthesand. Fingers crossed for pregnancies in two weeks time! It is encouraging to see that some people can still stick to the traditional method of mating a young mare with a proven sire. Unfortunately, economic pressure does not always allow us to follow this tried and tested best practice. 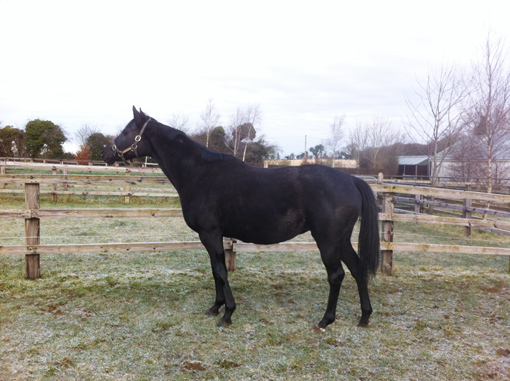 We, but particularly Des, are very happy that Theola is back in Swordlestown Little to foal and then to be covered with first season sire Helmet (by Exceed and Excel) at Kildangan Stud. So Des is busy keeping a good stock of polomints for all the former Mark Tompkins inmates! 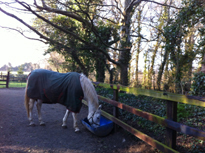 Theola who recognised her old home at once! 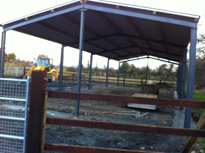 While we were waiting for the 2013 season to kick into action we were busy completing a long-planned building project of a machinery shed. 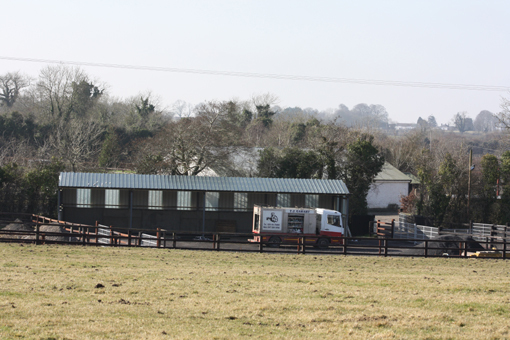 Our tractor and horsebox will hopefully be grateful for their new and shiny roof ! 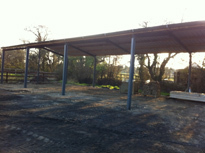 Various stages of the building process finally comes to fruition. Pregnant ladies are waiting for their time to foal. 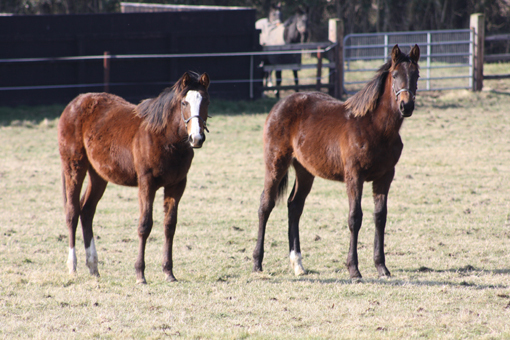 Yearling fillies by Lawman (right) and Areion (left) are growing nicely and nearly ready to be transferred to Lawlers Land.